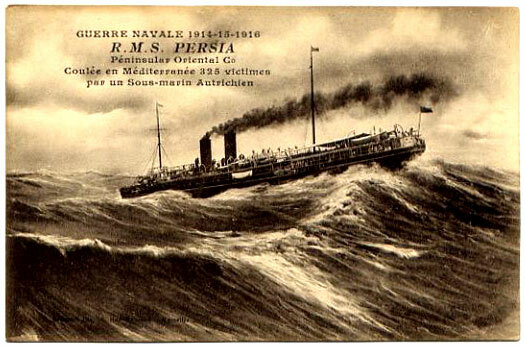 The RMS Persia of the Pando Line. It refers to the torpedoeing of the liner in December 1915 by the U-38 when 325 people were killed. It says Austrian submarine, although the U-38 was German.